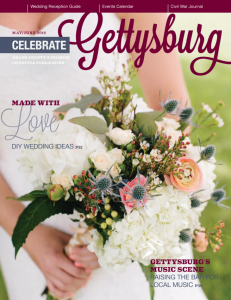 Whether Gettysburg is your hometown or your vacation destination, Celebrate Gettysburg is the perfect publication for you. 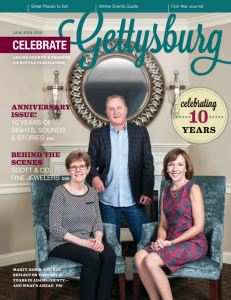 Each bimonthly issue showcases the treasures of small town life in southern Pennsylvania. Looking for a great gift? 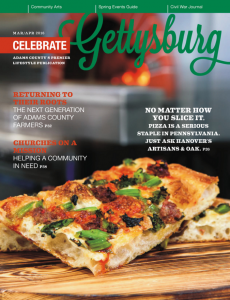 Celebrate Gettysburg is the gift that gives all year long! Use the PayPal button below to subscribe for one, two or three years. If you have any questions, please call us at 888-521-6810 or email us at info@celebrategettysburg.com. If you’d like to pay by check for your subscription or send someone a gift subscription, please click here and fill out the necessary form or call us at 888-521-6810.